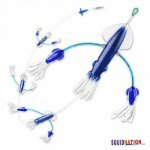 The Squidnation Long Tail Rubber Mauler Squid is designed for that extra flash needed to really agitate a fish into attacking. These Long Tail Rubber Mauler Squids stimulate that instinct to react. 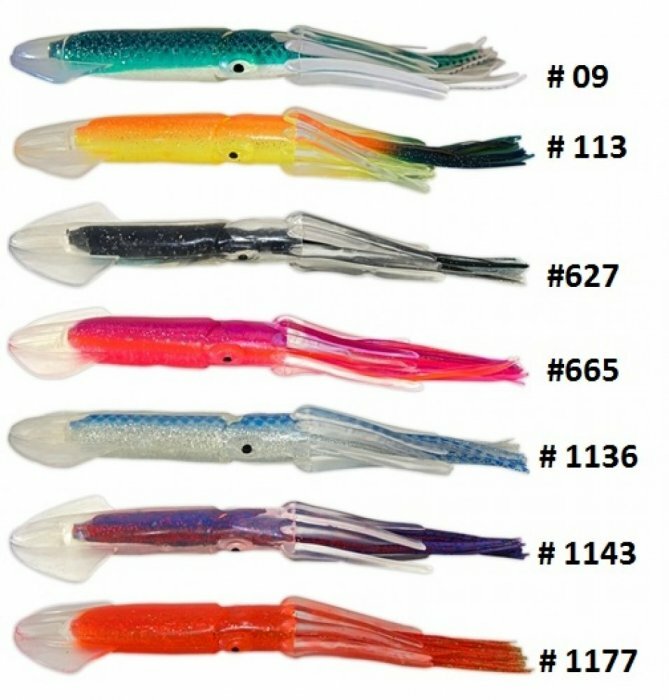 The UV infused clear mauler squids glow aqua blue in the water added with the colorful skirt and extra tails make of a perfect bait or teaser to entice a marlin, sailfish, tuna, dolphin or wahoo into attacking. 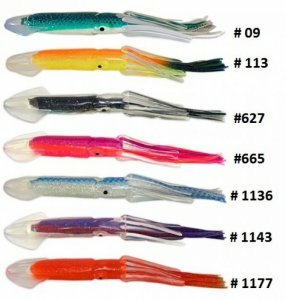 9 inch rubber squids with a total length of 11 inches with the extra long tails.